The bowler is Brian's grandfather Samuel Worthington who is believed to have worked as a plumber at Monton Green station in 1890. He lived in Eccles but John does not think that the location is either of these. Can anyone do better? 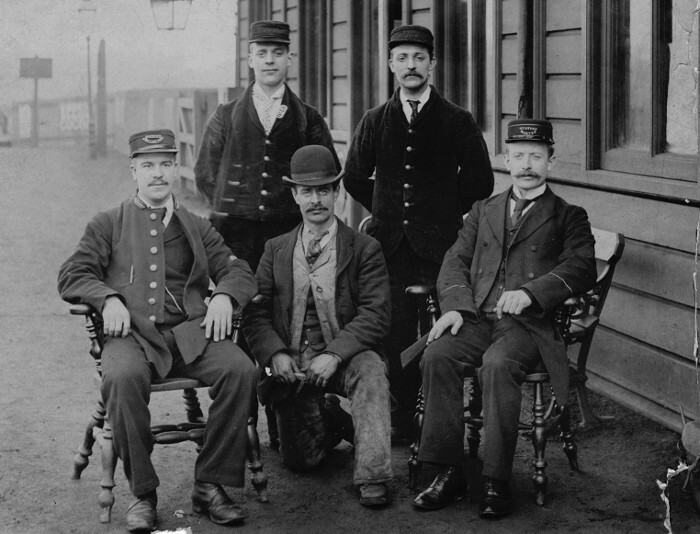 It seems this is not LNWR as the staff are Lancashire & Yorkshire. Location still unresolved.